Did You Notice Google’s Latest ‘Phantom 2’ Update? Google's "mobilegeddon" algorithm update was rare in the sense that it made national news. It was covered by outlets like NPR and USA Today in stories touting the possibility that sites which weren't "mobile-friendly" would see their search engine results positions fall. But "mobilegeddon" wasn't really rare: despite the coverage, it was just the latest of a number of algorithm updates Google's constantly making to improve the usefulness of its search results. In 2014, for instance, Google made at least dozen updates to its results (and possibly many, many more), according to a catalog of such updates on moz.com. "Mobilegeddon" was the second 2015 update listed by moz.com. Apparently a third quickly followed. Dubbed "Phantom 2" by digital marketer Glenn Gabe the algorithm update started affecting search results beginning around May 3, 2015. A CNBC article about the change's impact noted that HubPages "saw its Google search traffic plunge 22 percent on May 3 from the prior week." 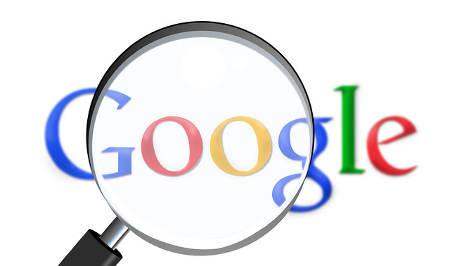 According to a blog post on Search Engine Land, Google stated that the update involved "changes to its core ranking algorithm in terms of how it processes quality signals." The result is that many pages deemed to have less useful and lower quality content saw their SERP positions fall — and their traffic suffered a marked decrease. "If you write about how to train a dog, make sure your article provides more value or a different perspective than the numerous other articles on the web on dog training." This blog post from position2.com explains what the update might mean for search marketers and online businesses. The post includes a helpful list of reasons why a site may have been affected negatively by Phantom 2. While low-quality content is a recurring theme on the list, the overarching message is that the update's meant to help Google users find sites they'll in turn find relevant and helpful to their search queries. The quality of text is a big part of it, but the usability of the page is also important. Pop-ups, deceptively-presented ads, and pages containing only links to other sites were all apparently hit by the update, since they all make for a terrible user experience. Bottom line: the update may have had a drastic impact on some sites, but it doesn't really change Google's trend toward trying to help people find the most useful sites. Each time someone writes a search query, they're asking a question to which they want an answer. Google's updates often seem meant to help people find the best answer more quickly, and content creators can help by making sure their sites truly are useful.